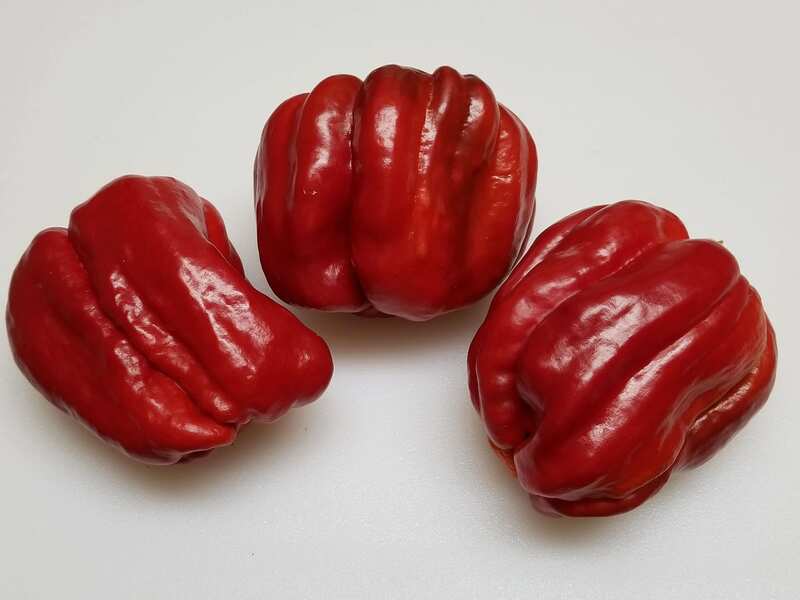 Antep Aci Dolma-(Capsicum annuum)-The Antep Aci Dolma is large sweet bell pepper type developed by researchers at Ankara University in the country of Turkey, They can grow to the size of a grapefruit. 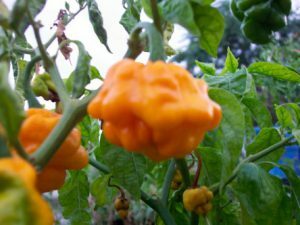 But what makes them unique is they are much sweeter than most bell types and also have the heat level of a hot Jalapeno type! The Antep Aci dolma ripen from green to dark red. 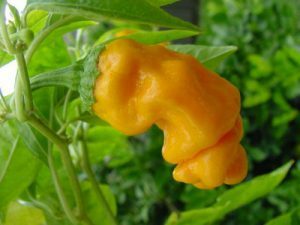 The skin has large wrinkles and folds in the outer flesh and is very thick. 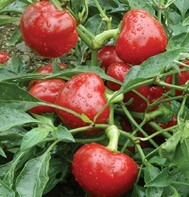 The Antep Aci Dolma Chile plants grow over 4 feet tall. 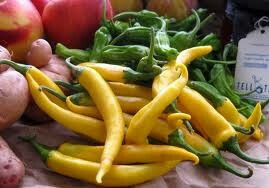 The peppers are great for roasting, stuffing, sauces and salads.